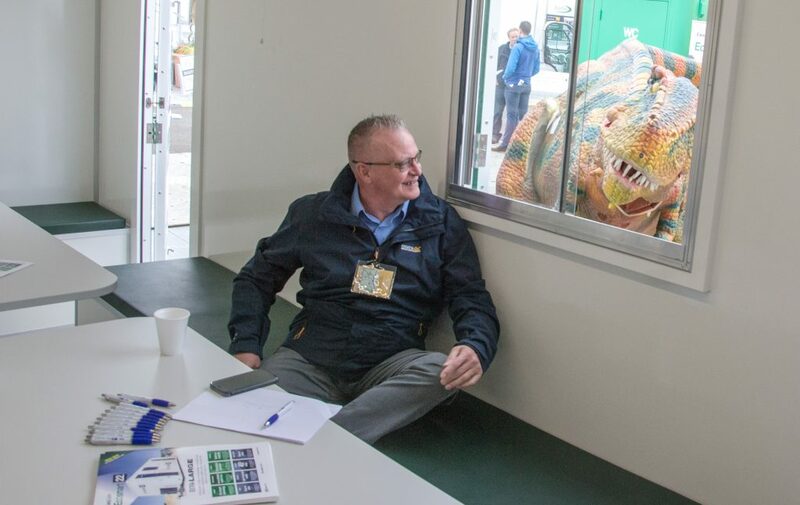 Our team returned from the 2018 Showman’s Show exhausted but in buoyant mood after a very successful show. 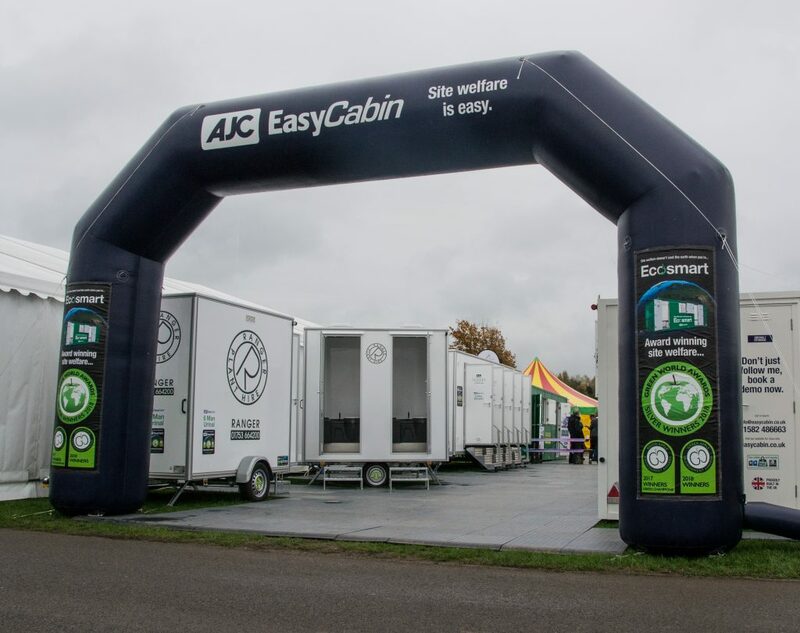 We displayed a wide range of our temporary accommodation, welfare, sleeper and toilet units each designed to bring practical comfort for all types of outdoor events. During the two day show, held at the Newbury Showground, we received keen interest in all of our products and we are now preparing to raise a large number of quotations and follow up a series of enquiries. The AJC EasyCabin Solar Toilet Pod runs entirely from free renewable energy, either via its advanced solar panels or from an individually designed wind turbine. The Solar Toilet Pod has all the facilities you would expect to find in a site toilet unit; i.e. a fresh flush toilet, a mirror, a LED downlight, good ventilation and handy coat hooks. However the unique feature of the Solar Toilet Pod is that it needs no external power. A user will enjoy sustainable free energy and the wider environment will benefit from the complete elimination of any CO2 emissions. 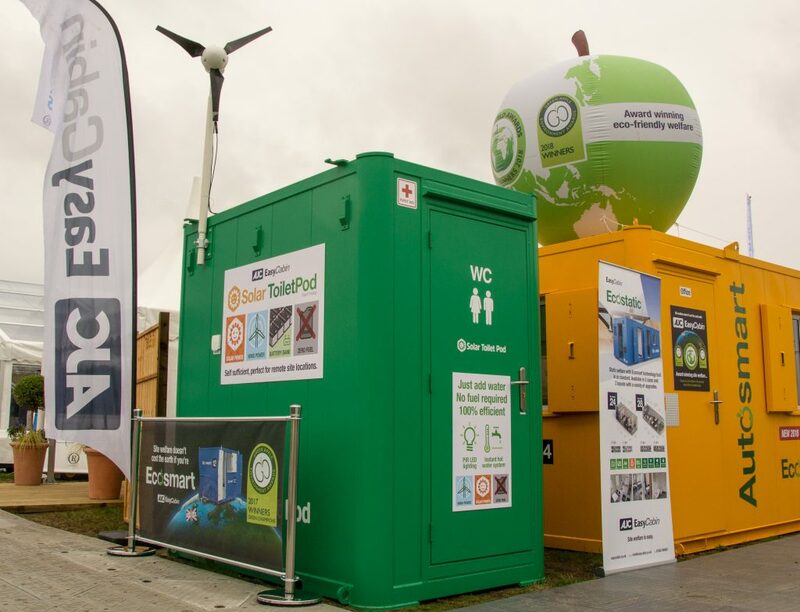 “With our own sustainable qualities confirmed by our UK and World Green Apple Awards, we were able to demonstrate our commitment to use renewable energy in our new products going forward,” added Lisa.